Smart users who are finding the perfect smartwatch that’s compatible with iPhone and Android Smartphones. Here’s the list of top best Apple Watch alternatives 2019 in best price. Who doesn’t afford Apple watch cost? Means you can use your iOS app and functions like Send/ Receive Message, Call Alert, Notifications, Alarm, Health Tracking, Email, and many useful apps from your wristwatch remotely. Today’s Most of the smartwatches too improved from battery capacity, Performance, Features, and Specifications. Also, Support it from earlier iOS version to higher latest version. Below all are the Cheap smartwatch 2019 compared to Apple Watch Series 3, Series 2 and Series 1. very best aftermarket Apple watch alternatives handpicked. 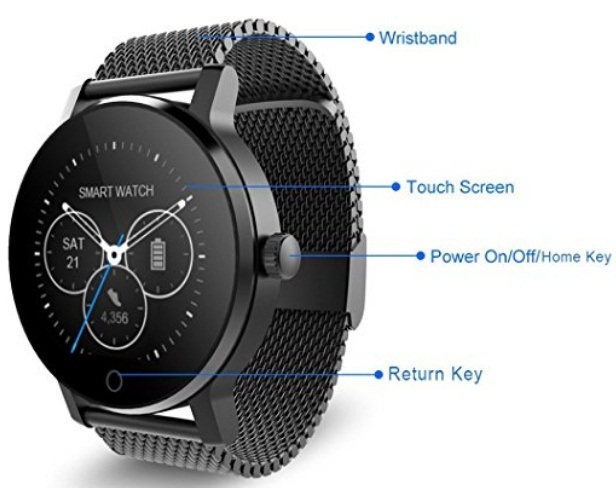 Don’t Miss out: The Smartwatch is a valuable and heart touching wearable gadget that you can give as a gift on the birthday, Tech Valentine gift February 2019, a Wedding gift to your mother, father, other family members, and friend to get special Thanks. The Huawei watch 2 is an ultimate smartwatch with amazing features. The Watch featured with GPS, and also it has a heart rate monitor which will count your heart beats, and it will monitor your workout. With this watch, you can download or play music online with Google Play Music during the exercise. It only supports nano-SIM cards, and if you have not inserted SIM card correctly, it may affect the execution of watch. Make payments using wrist within seconds with the help of google assistant and NFC. With the extended battery life the performance will not degrade, and for pairing the watch with iPhone, you need to download Android wear App from App Store. I’m pretty like this smartwatch Because it has the metal case, Corning Gorilla Glass, Ceramic bezel, built-in GPS, in more, it’s my guru as a Running Coach. Moreover, I can daily change Watch face and easily access workout function, too. 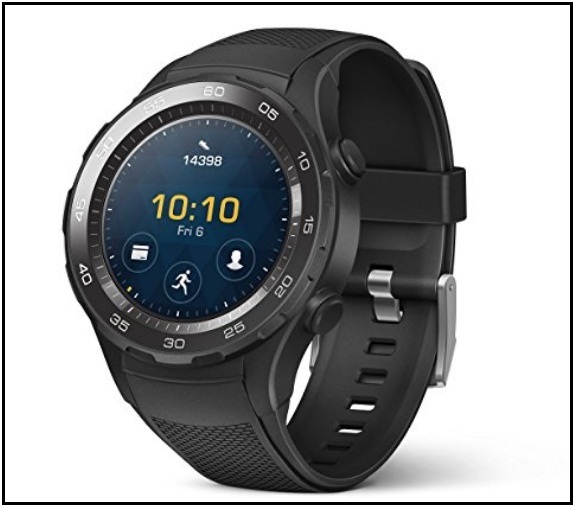 There are many other smart functions have this Huawei smartwatch that you can read after click on given link. In short, the watch is a combination of business and sports. in case you explore cheap smartwatch then scroll down and get many other low budgets under dollar $100 smartwatch varieties. Two new models by Samsung smartwatch also compatible with your iOS 11, iOS 10, iOS 9 device and Android OS 4.4 and later as well. Pro features make your smartphone activity effortless and smooth. 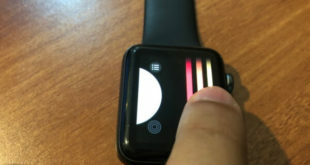 Activate different mode using your big or small finger (Comfortable) by rotating face. Steel Metal body durable and increase usability during sports activity and another hard job. Functionality: Water-resistant, Bluetooth, Dustproof, military-grade performance. Use for Pay payment, Get apps, Map, Fast charging and use for 2 to 3 Days. The Perfect smartwatch for iPhone X, iPhone 8, iPhone 8 Plus, iPhone 7, iPhone 6 and another model. The top Smartwatch for iPhone & Android Phone 2019. If you want just a fitness tracking smartwatch, then SMA-09 fitness tracker Smartwatch works with iOS and Android. Let’s see in brief what user can do using this Watch? The chargeable and built-in Speaker smart watch facilitate real-time step count, Sleep monitor for healthy sleep, calling and message vibration notification alert as well as LED flash alert. Indeed, it a fantastic activity tracking smartwatch, with this, Six Customize watch face and music control provides full enjoy even you wash hand, waking outside when in the rain because it is waterproof test watch, you don’t wear the Watch when you take a bath and sauna. 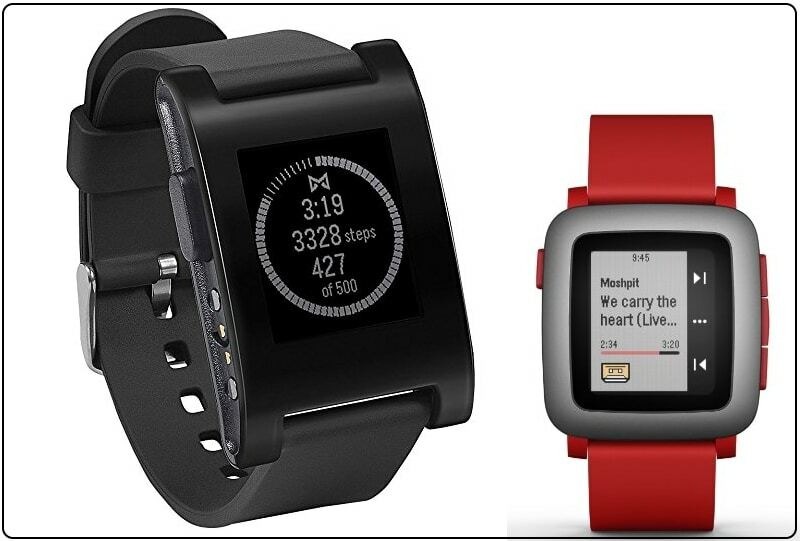 Pebble(59.99) and Pebble Time($76.95) based on a unique concept made for access all iDevice data on watch screen on time. Bluetooth compatible watch, after paired with iPhone or Android see the Watch functions on phone app (Change Watch Faces and more). Like the text, incoming call, Emails, Calendar, and Saved Events, Sleep or All types Activity report useful for health-conscious people. Quite easy to enjoy your favorite music stream on the Go, Notification alert on your write from popular social media networks. Furthermore, this coolest Smartwatch comes with the chargeable battery pack. Beautiful hardware design and Concept saved against water damage up to 30 meters deep water. Built-in microphone, Easy to take note of your voice and chat on the Social app (WhatsApp, Snapchat, Google Hangout, SMS or Gmail and much more). Garmin Forerunner 235 is the latest smartwatch in Third-Party watch for Apple users. GPS enabled smartwatch useful for Navigation, Tracking, Pace, time, Distance and more. Also, check your Heart rate (24/7) from the wrist. Use this smartwatch the other watch can’t-do it. Like Measure Oxygen level on VO2 technology, Widget summary, Weather information, Measure all activity (Steps Count, Distance, and Calories). Lightweight, Longer Battery Life than Apple Watch, and Water resistance LCD color display. Order today and Save $44.31 on MRP price. 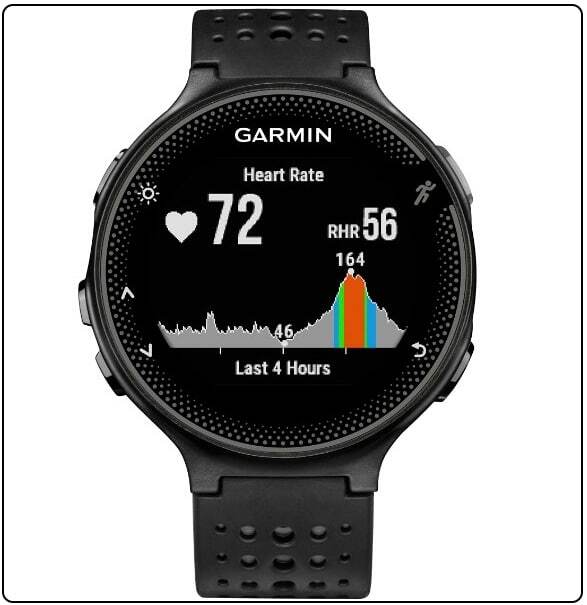 This is the deals price, Thanks Garmin for big discount offer March 2018. Enjoy styles of the smartwatch with replacement band like Apple Watch Replacement Band. Corning Gorilla glass protected AMOLED Touchscreen watch face easy to operate and use on small screen. Immersive IP67 water resistance up to 1 meter. 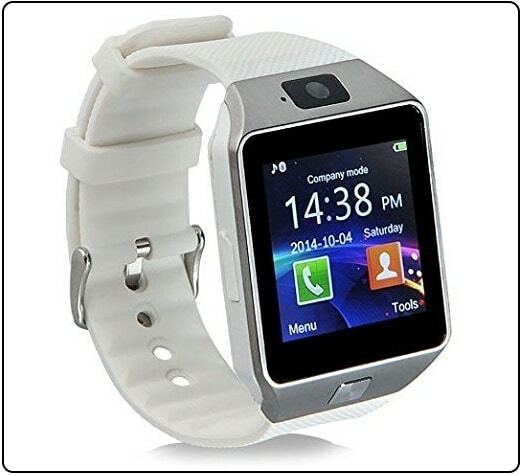 Wi-Fi compatible smartwatch in low price very comfortable to live in an internet world. This Modern design smartwatch is perfect for professional life. Pick your favorite for more colors, Size and styles options. Be present in your world from instant updates on Message, Mail, Notifications, Weather or New. Edge to edge glass, More bands for Moto 360 quicker way to change or match with a costume. Classic stainless steel watch is compatible with Android & iOS. Touch Screen smartwatch, Customizable faces Supporting iOS 8.2 or later updated running on minimum iPhone 5 or later model. On Display notification for Social Network, Email, Phone calls, texts and more. Are you looking for the SmartWatch Under 100 dollars? Then OUMAX is perfect for you. The OUMAX Premium smartwatch with the Original Leather band, IPS Panel, compatible with iOS 9 or later. Beautiful functions are Water resistance, Message, Built-in stereo speaker, Clock Display, Pedometer, Call Reminder, and Best fun gadget forever. Magnetic USB charger, Water resistance. iPhone compatible Smartwatch under $50, Use watch for iPhone/ iPad and get Email, Social Post, SMS, News, Sports and Other alerts that are helpful. 96 x 16 pixels screen resolution and OLED Display. See Custom vibrate options, Filter alerts, 1000s of supported apps, extended life battery life up to 6 hours and more found in below list. People who have demand Cheap Smartwatch for iPhone for the built-in 0.3M camera that will catch photo or Video as a spy use. Then this is one of the best Smart Watch for iPhone/ iPad. 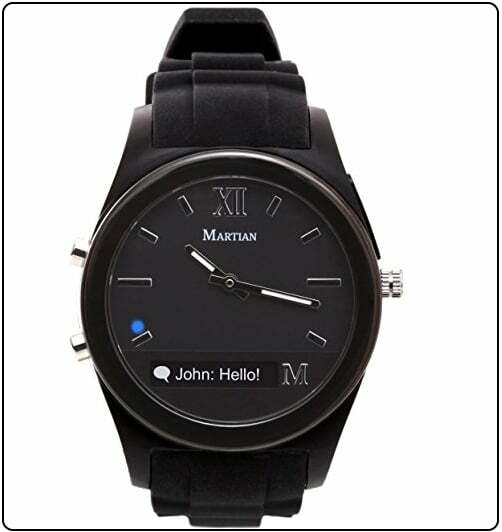 Support for SIM card and make the call, Message directly to this watch, One SIM card slot. Sound Recorder, Audio Player, and many other pro features did your job like iPhone. Buy Aipker Watch: Price is Under $50 when written from the Amazon. 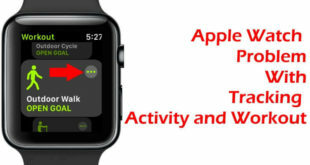 The Above list is honest for all Apple iPhone/ iPad users as a Best Apple Watch alternatives 2019 Smartwatch for iOS. Share your expertise with us and select your desired.